What is vendor risk management and why is it important? Simply put, managing your third parties and learning to watch out for the risks they pose to you is important because it adds value throughout your business. 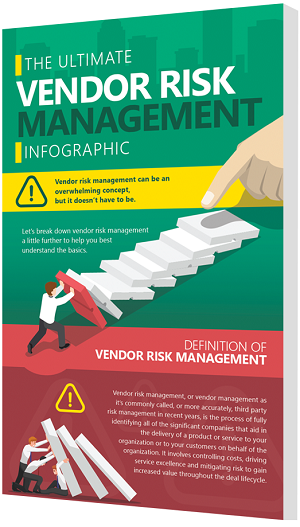 We've put together the ultimate complimentary infographic that breaks down vendor risk management and guides you through some of the most commonly asked questions.